EDHEC Business School and QS are pleased to offer an exclusive scholarship to attendees of the QS World Grad School Tour. Eligibility criteria: To be eligible to apply for this scholarship applicants must have successfully completed the admissions process at EDHEC. Candidates also must have registered and attended the QS World Grad School Tour. 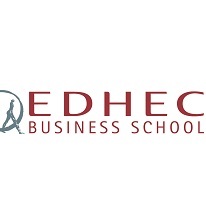 Scholarship applicants must be able to demonstrate: strong levels of academic excellence and willingness to study at EDHEC Business School. The scholarship EDHEC is offering is open to MIM and MSc programmes only. Please follow this link to learn more about this scholarship. Please indicate your full name, the title of the scholarship and the QS fair you have attended (example: QS World Grad School Tour- London- March 2017) at the beginning of your essay. These words will not count towards the essay limit. I'm completed the survey, and I would like to apply for Edhec scholarship. However, after I filled the form for Edhec scholarship, the website was redirected to Pepperdine University School of Public Policy Program Scholarship page. Please kindly see the page. Thanks.